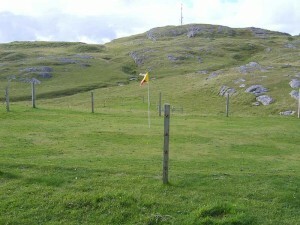 Barra Golf Club is the most westerly golf course in the United Kingdom and was established in 1992. Situated at Cleat, near the Isle of Barra Beach Hotel and 6 miles from Castlebay, it is exceptionally attractive with stunning views out over the Atlantic. The 9 hole course is 2396 yards and has elevated links with natural contours. All bookings must be made in advance, play may be restricted, for instance, at weekends, handicap certificates may be required.